With Veteran’s Day actually being yesterday, but being observed today as well, our vets get 2 salutes to their hard work and dedication. As they should. Without their sacrifice, none of the greatness of America would exist. Serving the country through military service crosses racial, economic, and religious barriers. For some families, serving in the military is a generational point of pride. Chances are that somewhere down your family line, you have had someone in your family serve in the US armed forces. My family is no different. My father served, as did my grandfather and various scores of uncles and cousins. One family member in particular, retired USAF Major John H. Yancy, II, is probably the most unique of my family that has served our nation. At 87, he is one of the few remaining WWII veterans still around. John joined the Army like many young men after the bombing of Pearl Harbor. Challenge was that he could not join in 1941, as he was too young. He had to wait until 1943, which would also be the year he met his wife to be Jean. According to John, with the war in full operation, all the good positions for the training schools were gone. So John was assigned to the Air Corps and became a mechanic and began working on bombers. John would end up being a crack mechanic and work on every bomber built for US operations during the war. He would spend most of his time in WWII in Britain during the Nazi air raids. As John describes it, it was not a fun place to be at the time. Once the war ended, John stayed in the army. He was not only a great mechanic, but was being prepped for a position on flight crews. 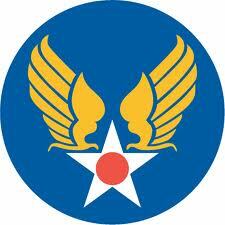 After WWI, John would be part of the original Army Air Corps that would become the US Air Force in 1947. John would also serve in Korea as part of bomber flight crews. According to John, many of their flights got a tad close to China. Of the numerous successful bomb runs he was a part of during Korea, he did experience one crash in the frozen tundra of N Korea. Fortunately, no one on the crew were injured or killed, but the wait for rescue was an experience John is not fond of talking about. His experience and skills allowed John to be part of the first crews that began the era of jet aircraft. 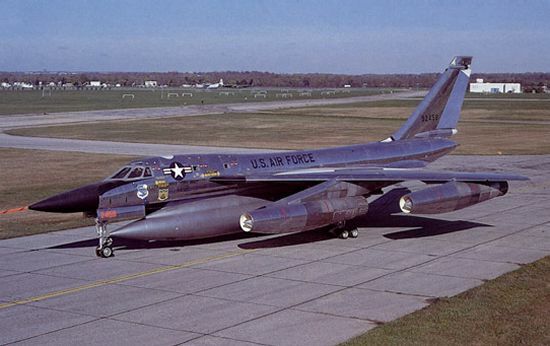 During the Cold War, he spent time at what was known then as Carswell Air Force Base testing the new B58 bomber and testing the new speeds of jets. John was on the flight crew that broke the mach 1 and mach 2 barriers in the early 1960’s. He was also part of the flight crew that tested a little known technology called Doppler Radar that we take for granted in weather forecasting. In all, his career would span nearly 3 decades and 3 wars in support of the US air tactical efforts. After retiring from the military, John went into business for himself, raised 3 kids, and lived American Dream he helped to defend. Today, closing in on his 88th birthday, John finds fascination in the new “toys” that the Air Force has been given to protect our great nation. A great deal of the testing he was a part of in the 1960’s carries through in the jet planes of today. While he is long past being able to be part of the new jets that keep our nation safe, his love for the sky has never waned. If it has wings and can fly or can produce a speed to blow back one’s hair – John loves it. So, I hope you’ll pardon my self-indulgence in this post on my cousin retired US Air Force Major John H Yancy, II. He is a patriot and a zealot for speed. And a Veteran of the Sky. For those who voted to re-elect Barry to 1600 Pennsylvania Ave, I just have a few questions I would like answered. I thought it would be best to classify these questions by interest group, as that is obviously how you want to be portrayed….. If you are white and voted for Barry, was it because you still felt white guilt or somehow bought into the press nonsense of being racist if you did not vote for him? If you are black and voted for Barry, did you bother and look how you have fared economically under his administration? If you are a woman and voted for Barry, do you like being defined only by your lower half of your anatomy and ignoring your intellectual qualities? If you are Hispanic and voted for Barry, do you really embrace abortion and the trashing of family values promoted by this POTUS? If you are poor and voted for Barry, do you enjoy being a slave the government handouts? If you are a businessperson and voted for Barry, are you just freaking stupid? The fact that the nation is at higher unemployment now 4 years later because of Barry’s policies. The fact that people like Reagan and Bush 43 took over crappy economies and turned them around in their first terms. The fact we have NOTHING – not roads, bridges, electrical grid improvements, etc – to show for the Stimulus. The fact we have people at poverty levels and on food stamps that are the highest in our nation’s history. The fact Barry’s interference in the auto industry, setting aside paying bondholders to put union workers ahead with gifts of stock, was unprecedented. The fact Barry has appointed more czars than Russia to circumvent Congress. The fact he has hidden his role in Fast & Furious, one of several attempts to gin up ideas to take 2nd Amendment rights. The fact that BO Care will continue to make health insurance less affordable. The fact that small businesses will continue to not hire under the increasing regulations promoted by Barry. The fact he has shown ZERO willingness to work across the aisle. The fact he sat and watched as our Ambassador Chris Stevens was murdered. Does any of this bother you? Just what makes you think he will do any different for our nation in the next 4 years? Your freedom will continue to be eroded in the name of social justice, redistribution, or whatever other spin Barry and his minions put on your continued enslavement. Just remember, you were forewarned….. While certainly not lost to the Presidential election or Benghazigate, Hurricane Sandy and her devastation is certainly getting a press pass on what should be valid criticisms on how this disaster is being handled. 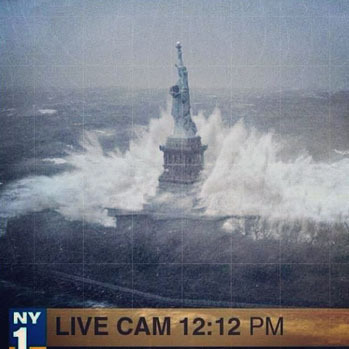 This storm slogged along the Atlantic seaboard for several days before hitting the Northeast Coast in New Jersey, New York, and other states on October 27, 2012. Ten days have passed since the storm knocked out power to over 8 million residents, put millions of businesses on hold, and performed what could be nearly 50 billion in damage on the East Coast. In my opinion, the handling of this storm, from pre-landfall prep to post damage fallout, has been abysmal. This storm was not a surprise. It was watched in the Caribbean causing damage in Cuba, Jamaica, and Haiti and a projected path showed Sandy heading right for the NE Atlantic Seaboard. 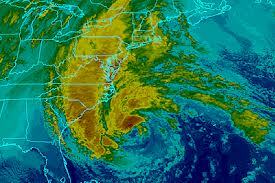 Virtually every weather service showed Sandy was going to hit landfall on the NE coast and wreak havoc. There was also the projection of Sandy colliding with the cold front making it the “storm of the century” and all that jazz. There was plenty of time to get extra supplies, generators, gas, food, etc. Hey, you might even have been super proactive by deciding just to go to another state till it blew over. I have a good number of friends in the area that Sandy thumped and I am just now getting to talk to them. While some I talked with had a reasonable amount of supplies, none were prepared for the flooding Sandy caused and the collateral damage from the flooding. Several friends admitted that they did not believe it would be this bad and several truly thought Sandy might turn back out to the Atlantic at the last moment. I think at this point it is safe to presume many folks in the northeast were probably of the same mindset – low disaster preparation, low expectations on Sandy’s impact, and a false hope she would miss altogether. So if we are giving a grade to the residents on disaster preparation, they get a “C” overall. That’s a blended grade as well. People with resources that did not prepare better get a “D” as they could have at least hopped in the car and bugged out to another state. You cannot be as hard on the poor, as they don’t have the resources and are more impacted by local, state, and federal response. Let’s hit that topic for a moment. Local and state governments are the first units in on a disaster, with FEMA and federal dollars there for clean-up and needs beyond local and state resource capabilities. How did they all do? Well based on how everyone got caught flat-footed, I give most of the local and state groups an “F”. Why? Very simple – there appears to have been no proactive plan for dealing with Sandy. This is spite of the fact New York was ground zero on 9-11-01; in spite of the lessons that should have been learned from Hurricane Katrina; and in spite of the examples what to do from Gulf States from past Hurricanes and other Southwest States that deal with disasters almost on a yearly basis. Why were there no sandbags back beyond the seawall barriers in New Jersey and New York when it was forecast that the storm surge would breach those barriers? Why were local and state authorities not contacting the feds in advance of this monster and requesting pre-storm positioning for pumps from the military? Why did the local and state authorities not have an adequate plan in place for flooding? This is not the first time this has happened regarding northeast coast hurricanes. Sandy exposed a huge sore under our nations power grid – we are operating at or above capacity all across this nation. Just as Japan got caught flat-footed from the tsunami in March 2011 from water flooding their coastline nuke plants, our local and state utilities in the northeast had no contingency for flooding and knocking out the power on a massive scale. Lack of power is keeping homes cold, businesses shut down, impeding gas stations from delivering gas, etc. Once the utilities start giving estimates of 5 to 10 days to get power restored, decisions should have been made to get generators in fast, get the military in for water pumping as well as using the military’s portable fuel tankers to provide fuel to needy people. My goodness, the governors could have at least called other state governors not as adversely impacted and brokered a deal to transport these people out to another state to stay in hotels until basic services were restored. Having people cold, starving, and waiting for hours for gas because the power is off in not an excuse for having these people suffer. As such, I have to get the local and state government politicos there in NJ and NY an “F”. Actually, I will modify Christie’s grade from an “F” to a “D” as he waived the licensing to bring in new fuel outside of NJ. Past that, he has been just as inept as Cuomo and the rest. While Barry would like to really make himself look good for this disaster past his photo-op with Christie, truth is he cannot do much. Sign the checks, be sure the DOD is helping the states with their assets, and out talking to people impacted is really all a president can do. FEMA has to coordinate with the states efforts and be of help, not be a hindrance to results. So far, I am not seeing the military assets we have for disasters like Sandy hitting the impacted area. Is that Barry’s fault? Doubtful, but this could very well fall in his lap in a very negative way, ala Katrina, if things don’t happen fast. Cold, hungry people do not make good photo ops. Who is going to foot the bill? In the end, you and I will pay for the majority of this damage. 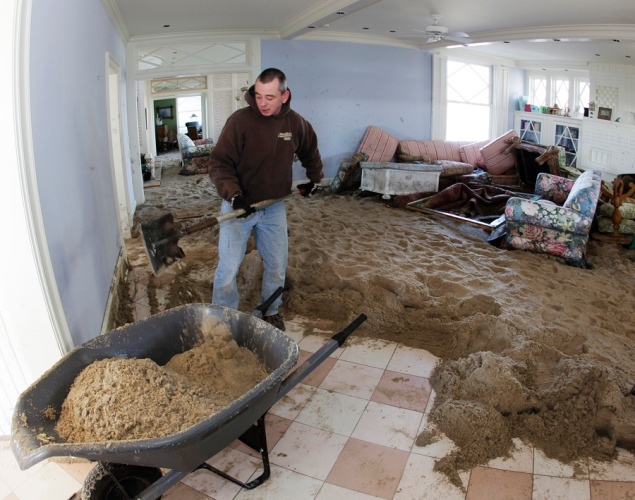 According to insurance industry data, it is estimated that only 14% of the potential exposure of homes in the northeast close to the ocean have coverage through the national flood insurance program. We sell national flood insurance and one of the problems is that the structure is limited to $250000 and contents are limited to $100000. Private insurance is not available for this as the feds cover this. That is another problem where the government interferes with what should be private enterprise. Flood insurance might cost more in the open market, but people would have options to cover themselves for building on waterways. More importantly – taxpayers would be taken off the hook for insuring private risks in known flood zone environments. Like any other private enterprise, the cost would either encourage or discourage building in areas for high property losses. Many of these homes are multi-million dollar homes and will find out what an exclusion is when their normal insurance company denies the water damage. Their only hope for coverage is to have had water coverage for wind-driven rain and Sandy blew a whole somewhere in their house that allowed the water to come in. If the damage is from just rising water, which I promise will be how the majority of these claims are adjusted, most homeowners are going to be without coverage. 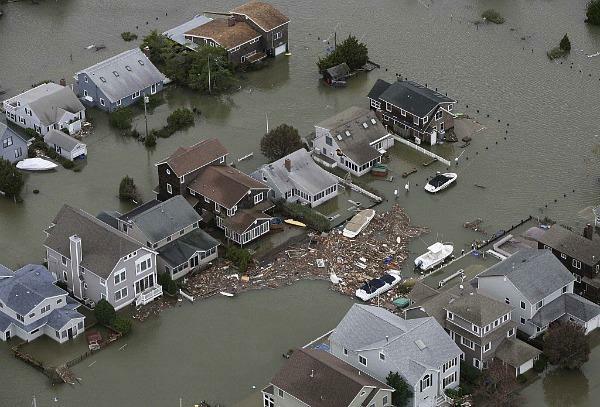 Sandy has been and continues to be a nightmare for the residents on the northeast coast. They need our prayers and our help. If you live in Texas, our office can help you as well. Our toll-free number is 888-595-6933 and our site is http://www.yancyinsurance.com .